It happens to all of us, that brick wall that keeps us from the next scene or chapter or even word in our manuscript. 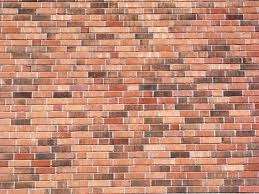 Here are some things that help me when I'm standing in front of that brick wall . 1. Lift your fingers off the keyboard and walk away. I've heard people say "write through it," and it just doesn't work for me. I tell my piano students that when their brain hurts and sort of shuts down during a practice session, to play for 5-10 more minutes and then walk away. The next time they sit down, they will have improved. I think the same works for writing. When it just gets too tough, giving it 5-10 minutes could be beneficial for improving your writing skills, but anymore than that and you will not only be writing crap, but you will lose confidence, or worse, grow to hate what you used to love. 2. Do something other than writing for a while. Go for a walk. Ride a bike. Watch your favorite TV show. Read a book that you want to read. Go to the gym. Play with your kids. Watch the sunset. Shovel snow (again). Take a nap. It will still be waiting for you tomorrow. The difference is, your brain will be fresh instead of fried. Take care of your brain and it will take care of you. 3. Take a few days off. When I'm writing intensely, sometimes that little break just doesn't cut it. But if I give it 3-4 days, that usually does the trick and I am ready to jump in again. And when I say take a break, I mean it. Don't think about your plot; tell your characters to shut-up (politely if you'd like); stay away from the computer as much as possible. That's one of the reasons we write, isn't it? We get to choose our own hours. Choose to take a few days off if necessary. 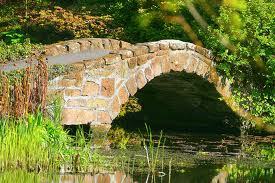 When I give myself the balance I need, I find those brick walls turn into bridges. I'm the same way. I have to get away from the computer sometimes. I just finished a major rewrite, and, let me tell you, I took a lot of baths to get through it. That's where I get my best ideas. What a great idea! Taking a bath. I'll have to add that to my list. Great place to meditate and get some inspiration.